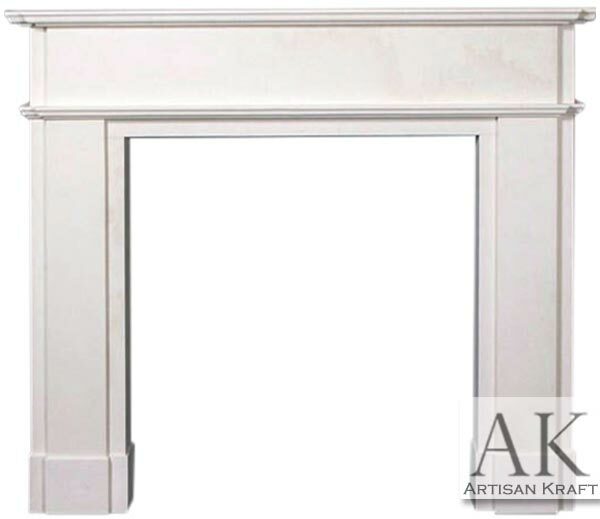 Oxford Marble Fireplace Mantel is a rigid straight line design. This modern design is made from real stone in this picture. Simple and not over done with details. This is great for the customer looking for a contemporary style surround. A traditional home can seamlessly install this fireplace mantel without it feeling too modern. While in an open minimalist setting this has more of a contemporary design. This is the perfect choice for both options. A fines unimposing design that is both functional and decorative. Stone: Cast stone, travertine, limestone, sandstone, marble.